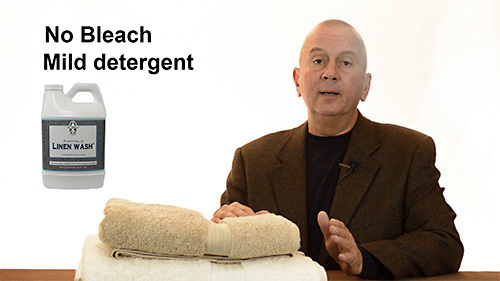 The best way to wash your terrycloth bath towels. Shop for our luxury Christy Towels, below .. There are varying qualities of terry towels. 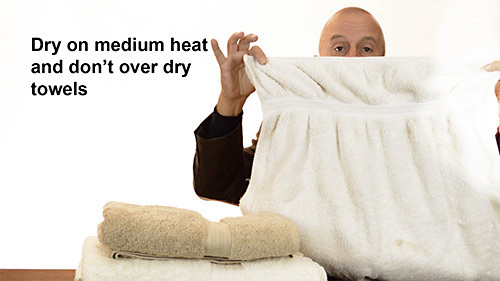 Inexpensive towels are sometimes impossible to keep soft and plush. With higher quality towels this can be easily accomplished. This isn’t very difficult – however by taking a few extra steps in their care, you can add years of life to them. Lower quality towels are frequently a cotton poly blend. Towels are also made from linen and some from micro-modal (wood fiber) cotton blend. If possible, towels should be laundered every 3 to 4 days, depending on the use and the environment they are used in. Towels absorb water, but, they also absorb skin dander, body oils & soap residue. These types of residue are a food source to bacteria and different molds. If the area where you hang your wet towels doesn’t have good air circulation, they will be slow to dry. Essentially when a towel is not dry you are creating your own little eco-system in it. Don’t place your wet towels in a hamper, insure they are dry, as this will accelerate the mold growth potential. Mold & mildew thrive in warm humid conditions. Mildew’s ideal growth environment is between 75 and 85 F. Most bathrooms fall in this temperature range. Always wash new towels before you use them. The cotton yarns are often coated with some form of a starch (to stiffen the yarn so the fabric can be woven faster). Avoid using detergents such as Tide & Cheer, as they contain brighteners – a.k.a. bleach derivatives. Bleach will lighten your colored towels and it is hard on cotton fabric. Ivory, Dreft or better yet, Le Blanc Linen Wash, (sold on our website here) are much better choices, as these are milder detergents. Don't bleach your towels, bleach can make the terry loops brittle and scratchy. Always wash your towels in warm or cold water. Don’t add towels to the washer until it is at least half way filled with water. Don’t add your detergent on top of dry towels. Concentrated detergent may lighten colored towels. To set the color of new dark colored towels add 1 cup of white vinegar in the wash. Consider using ½ to ¾ the normal amount of laundry detergent. Most towels don't get real dirty and excessive detergent will build up in the towel make in less absorbent. If your towels are starting to look dingy or musty smelling, add 1/4 cup of baking soda to the wash cycle. Do not use fabric softener or dryer sheets with towels. These softeners contain silicone and the silicone will coat the cotton yarns and impede their absorbency. Always dry towels on a low to medium setting. Tumbling towels in the drier makes them softer than line drying. Should you want to line dry your towels, do it on a breezy day so the towels will be agitated by the wind. If you let the towels set in the drier, once they are dry, they may wrinkle. The good news is that unlike other cotton fabrics, most of these wrinkles can be hand-pressed out. Once dry, hand press and fold on a flat surface. If you find that your towels have developed some snags or pulled loops simply cut them off, your towels should not unravel. 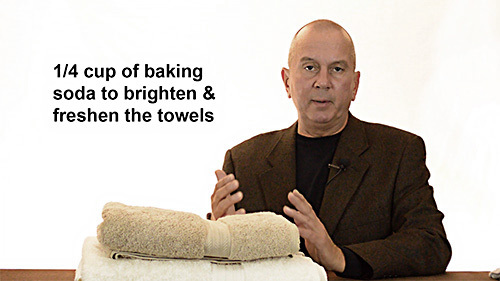 Watch the below video to see what you may want to consider when purchasing new towels. We sell luxury Christy towels. They are very nicely priced and absorbent towels. Click here to shop for our luxury towels. To shop for Christy towels - click the shop here button below. 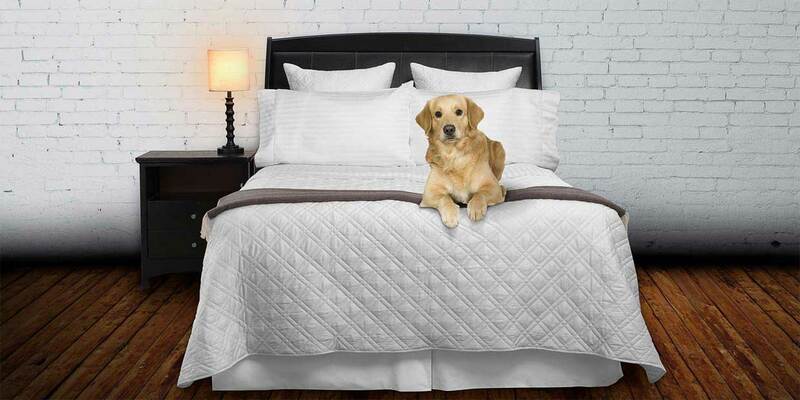 Use the code bedding tips at checkout & get 5% off your entire purchase. View our 150+ bedding related articles & videos here.